Work Life Management is the act of managing both your personal & the professional life in a positive fashion. It is a useful tool that helps you soar while keeping you full, yet less stressed. We may not have the ability to have it all, but we can work towards ultimate fulfillment which can create a healthy lifestyle for not only ourselves, but our families as well. I began as a Work Life Balance proponent, but found that the word ‘balance’ constitutes something that may never be achieved by most humans. But management and the active use of creating systems and boundaries for our lives is something we can all not only achieve, but be successful at as well. Check out my first video in my Do the Work Project 2015 series, which speaks to the importance of Work Life Management as we navigate our busy lives. 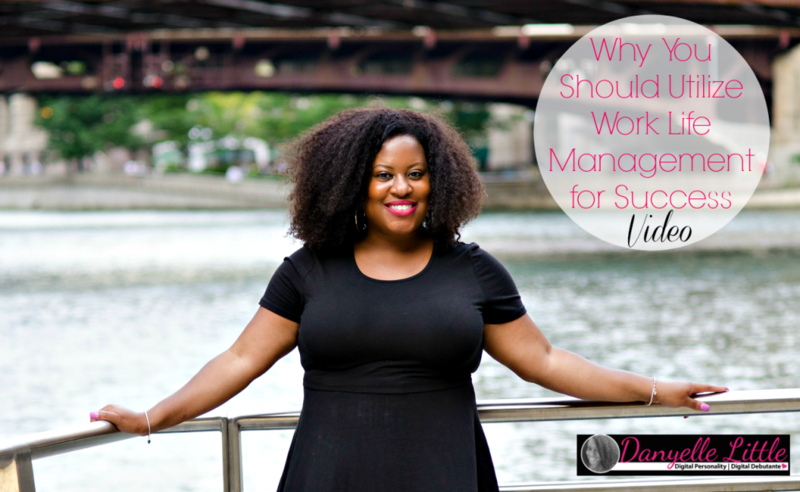 Do the Work Project 2015 Point 5:Utilize Work Life Management from Danyelle Little on Vimeo. Learn the importance of Work Life Management and how putting it in place can help you be successful both personally and professionally. And if you would like me to help you strategize on creating your own Work Life Management plan for success, visit my Hire Me page and complete the form. What do you think of Work Life Management? And how do you see it playing a role in your personal and professional worlds?